Facebook recently introduced video feature on Instagram, that allows users to capture and share 3-15 seconds videos. 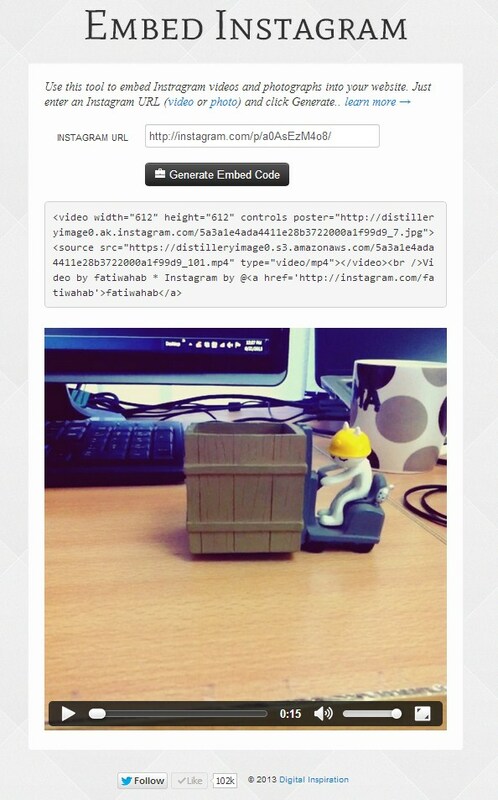 Are you a blogger or webmaster and want to add Instagram videos on your site? 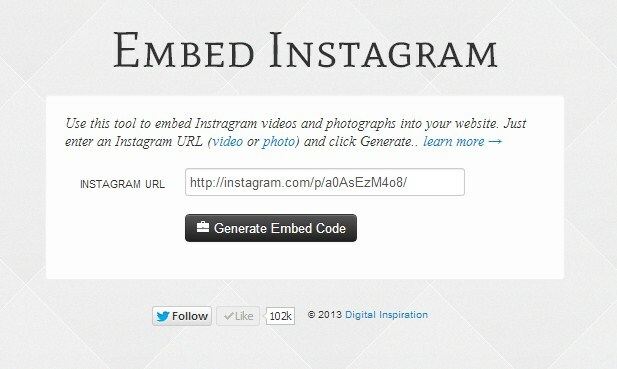 Here is the simple online tool called Embed Instagram developed by Amit Agarwal, that enables easy way to add Instagram videos on website and blogs. That's all you have successfully added Instagram video on your site.